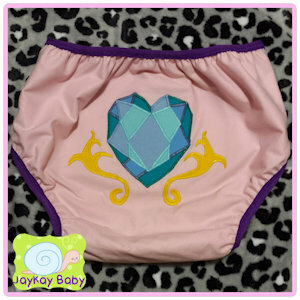 MLP Princess Cadance Diaper Cover! Baby Birds PUL Pacifier Bag! JayKayBaby is an AB/DL-focused store specializing in Adult Baby wear and accessories! Go check out the shop! WE ARE STRICTLY FOR ADULTS OVER THE AGE OF 18. WE DO NOT SELL ANYTHING TO MINORS. We do not condone sexual acts of any sort. Our product is for roleplay and fun and is not to be sold or geared for sexual acts or play. Have a look around! Thank you for visiting! You are welcome and I love the products you make they are adorable. Nice to see you here too finally.